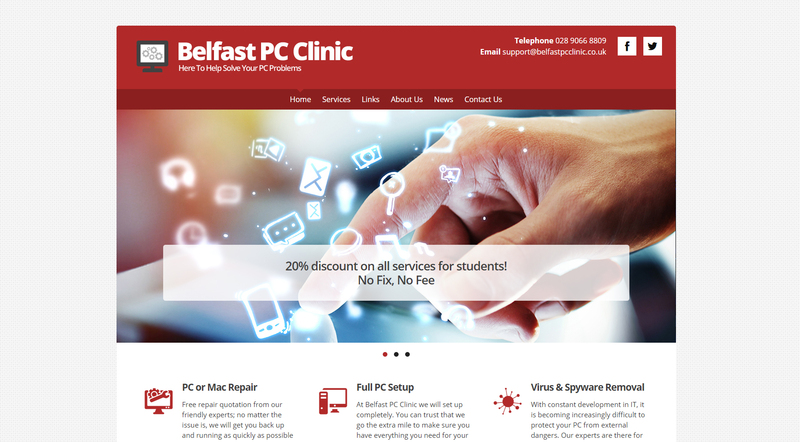 The team at PC Clinic have been working hard to get our new, shiny website up and running. It is fully interactive and details exactly what it is we do for our local home users. You can see what services are offered and the products that can make your life easier, from simple support through to setting up networks. As you scroll through our pages you can see that we offer a comprehensive service, after all the team here have been operating for 18 years. We still bring a corporate level of experience but on a personal level. Give our experts a call and speak directly with them to establish exactly what you need at home. Our job is to make your life easier.